Welcome to WDNA where we are redefining the F words: Faith, Family, Finance, Fitness and Freedom and helping you get the mindset, skillset and spiritual fortitude to live your BEST life now. On today’s WDNA, we are going to talk about 3 Marketing Tips from Thailand’s Rescue that could change the momentum of your business immediately. PLUS….we are less than 12 hours from launching our brand new EMwomen Podcast and website. EMwomen (Empowering Women) So stay tuned to the end of this video where we will give you a sneak peek into what’s about to happen. 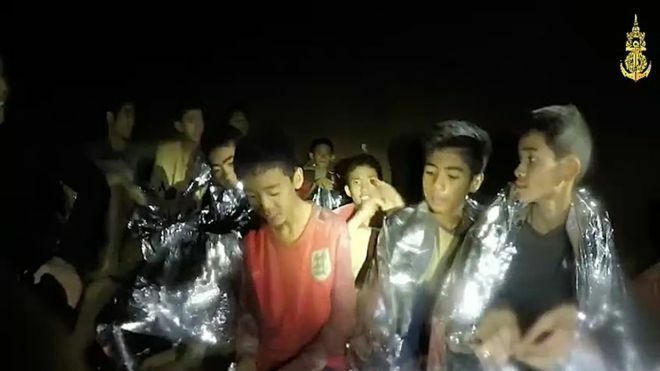 ON June 23, 2018, 12 boys and their football coach adventured into a cave in Thailand. NINE days later, on July 2nd, the group was found alive, but trapped in the cave due to heavy monsoon rains. On July 10the, after a HUGE global effort of collaboration, the boys and the coach were all rescued. There are children all around the world equally trapped in horrible, life-threatening situations who desperately need our help. And while it’s interesting that there is no round-the-clock news cycle for them like there were for the boys in the cave, there is still much to be learned by this rescue. “The boys in the cave” offer us HUGE life and business lessons on strategy, collaboration, risk management, compassion, mindset, and spiritual fortitude. When asked “HOW DID THE BOYS SURVIVE?”, one of the Navy divers explained that were nourished by drinking water dripping off the rocks while being managed emotionally by the coach who encouraged them to meditate. HERE ARE THREE TAKEAWAYS TO APPLY TO YOUR LIFE AND BUSINESS. 1. MINDSET: One Navy Seals diver explained that the coach taught the children how to meditate and kept their mindset on the hope and expectation of being rescued. ENDURANCE and MINDSET are power-twins that can get you through the most difficult times in life and business. Maintaining hope is critical to avoiding self-sabotage, depressive emotions and paralyzing voices that tempt you to quit. The struggle is real. Solution: This is why personal growth and development is key to your survival in launching or scaling your business. You must maintain a mentality of growth and a hopeful expectation of better days ahead. 2. 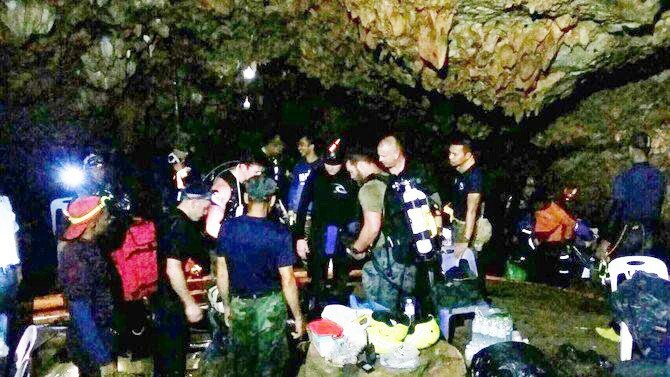 SKILLSET: A team of 90 highly skilled divers – 40 from Thailand and 50 from overseas – along with 1,000 rescue personnel from 18 countries, worked together to helped the boys escape the dark cave. The collaborative skillset of those workers allowed for “out of the box” thinking and strategy to be engineered. Jim Rohn said, “Success is 20% skills and 80% strategy. You might know how to succeed, but more importantly, what’s your plan to succeed? Do you have the team to implement your ideas for success? A dream without a plan is nothing more than wishful thinking. And a plan without execution is nothing more than ink on a paper waiting to fade. 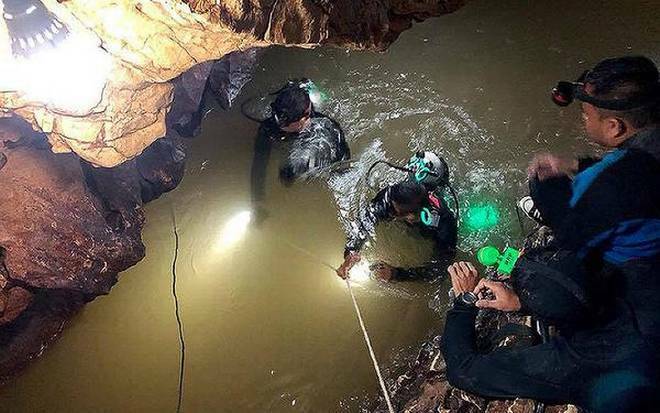 The Thai government and the skilled divers formulated a precise strategy that included practice, collaboration, risk mitigation, communication, and timing. WARNING: SKILLSET WITHOUT PROPER PLANNING IS DANGEROUS. We see this as true by the heroic former Navy Seal who lost his life due to hasty moves and improper calculations. He didn’t measure the distance of how long he would be underwater and lost his life due to lack of oxygen. Solution: Do something every day that increases your knowledge, advances your skillset and aligns you with leaders and thought engineers who can calculate the risks you may face. 3. SPIRITUAL FORTITUDE: No doubt the dire situation of those boys being lost in that dark cave for so long caused an uprising of prayer and unity between nations. Schools let students out to pray. Churches and organizations rallied. Individuals put the focus on the change they wanted to see in the world and shifted what could have been a devastating outcome with prayer. Tragedies will either divide nations or cause them to rally with greater spiritual fortitude. When you think about the challenges of your business, marriage or life, what are you doing to rally greater spiritual fortitude and unity? Solution: Remind yourself and your team of the bigger WHY behind your mission? Create a sense of prayer, unity, and passion behind the outcome you hope to see. Read the words of this song and know that God is coming after you to give you that breakthrough you’ve been praying for. FOR DISCUSSION: How is your mindset affecting your output? Comment below and then share, share, share! This will give you one entry. Enter as many times as you want and tell your friends to @mention you in their comments for an extra entry. WarriorDNA brings you relevant news that impacts your leadership development.